Spidey and friends are about to swing into your mini-figure collection! 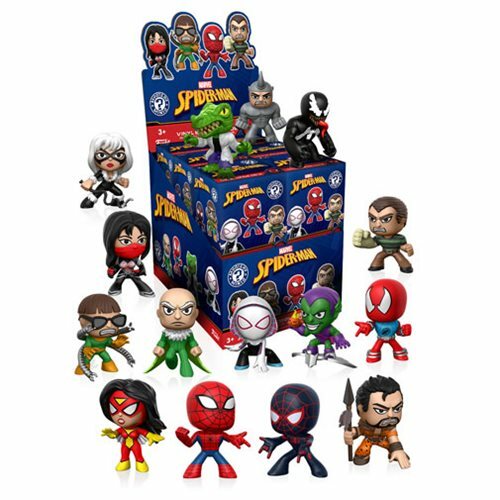 Based on their classic designs, these Spider-Man Mystery Minis include characters such as Venom, Spider-Gwen, Silk, and more. Each stylized mini-figure measures approximately 2 1/2-inches tall and comes packaged in a blind box. Collect them all! Ages 3 and up.